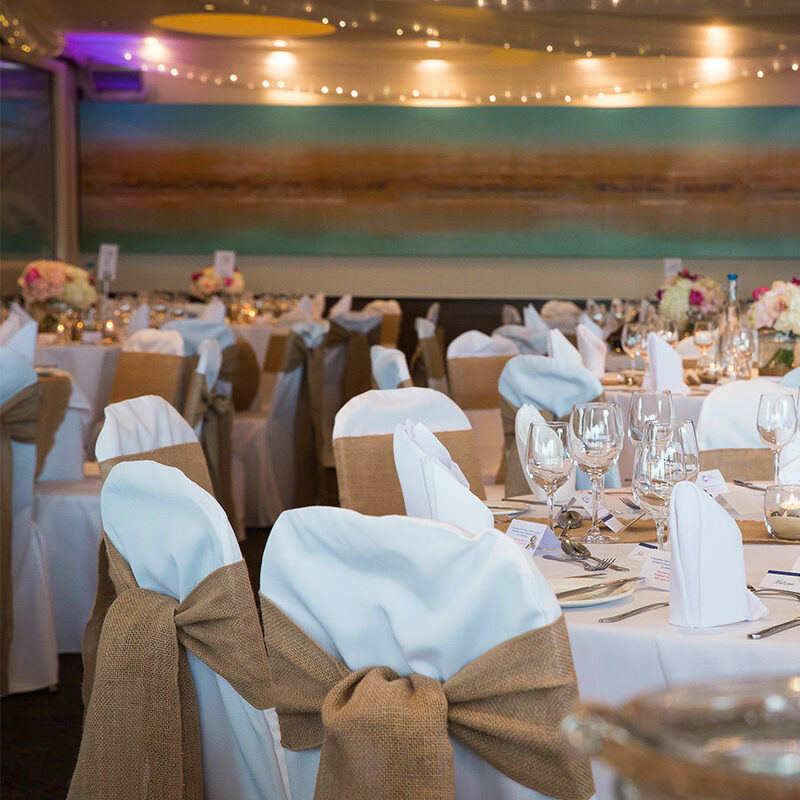 If you are looking for an elegant venue in which to host a party or celebration with an extra ‘wow’ factor then the Harbour Heights Hotel is for you! 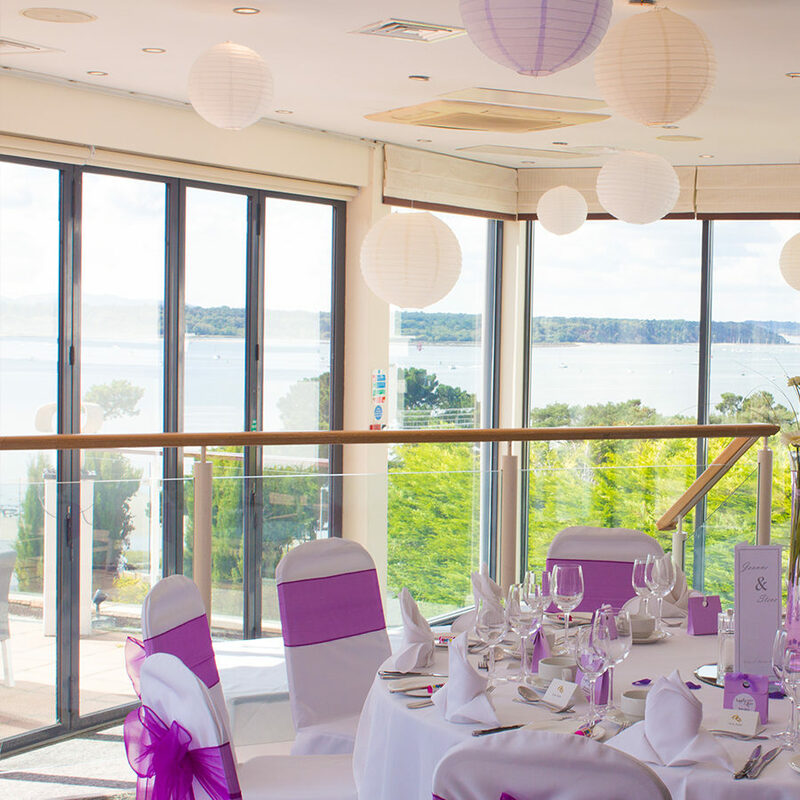 This beautifully appointed boutique hotel sits elevated over the renowned Sandbanks Peninsula, providing a sensational backdrop of Poole Harbour and Brownsea Island for your guests to enjoy. 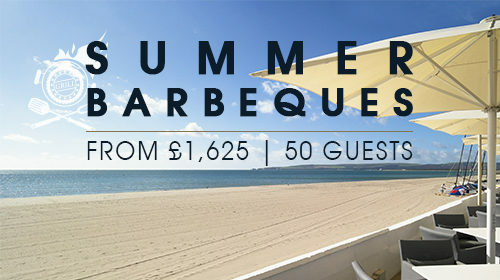 With its boutique stylish surroundings, stunning harbour views, spacious terraces and award-winning cuisine, this versatile venue is the perfect choice for events from intimate drinks parties, cocktail celebrations, exclusive themed and entertained gatherings to sun-drenched terrace BBQ parties. To complement the hotel’s beautifully appointed private areas, the award-winning chefs offer delicious menus and a vast collection of wines from our onsite cellar. 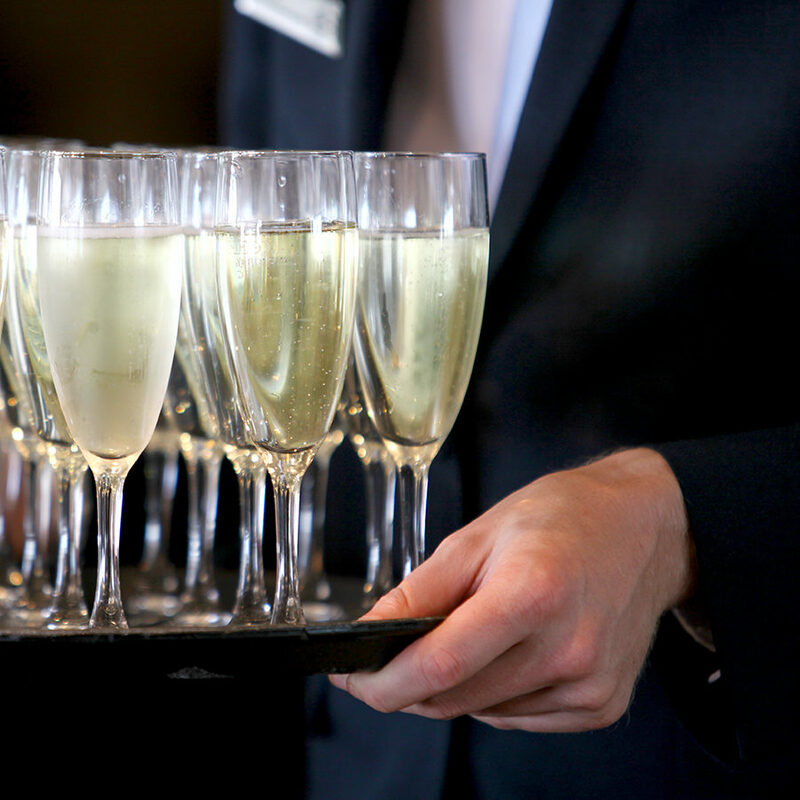 Plus, our expert planning teams will be by your side to coordinate from menus to accommodation requirements – and everything in-between. 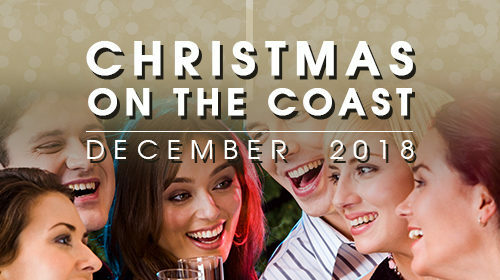 Looking for a Christmas Party? Click here for more information. This delightfully appointed suite offers contemporary elegance with a blend of fresh stylish interiors, inspirational artwork and stunning sea views. 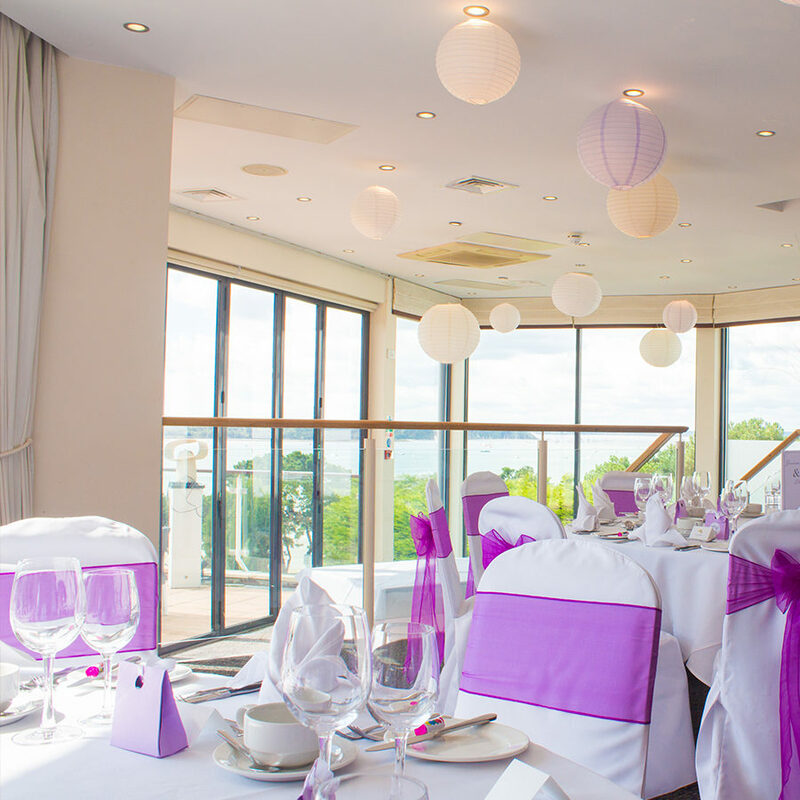 Whilst in the suite, your party guests will continue to enjoy breath-taking harbour views through the cleverly positioned floor-to-ceiling windows and glass doors leading to the terrace. 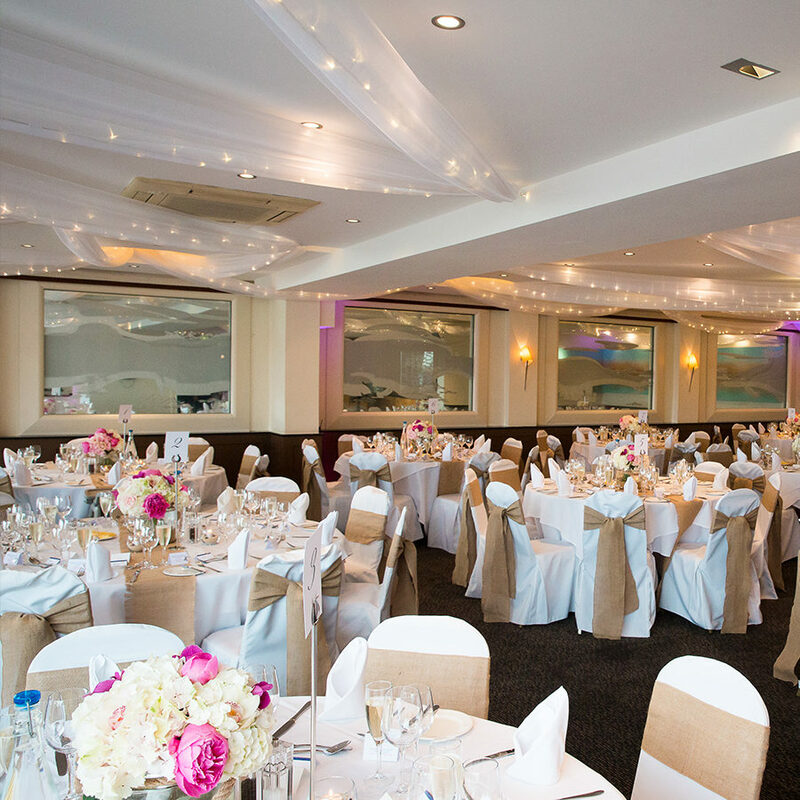 For evening celebrations there is a dance floor and our experienced team can offer advice on live entertainment for your party. The suite enjoys direct access to a *private terrace with magnificent views. 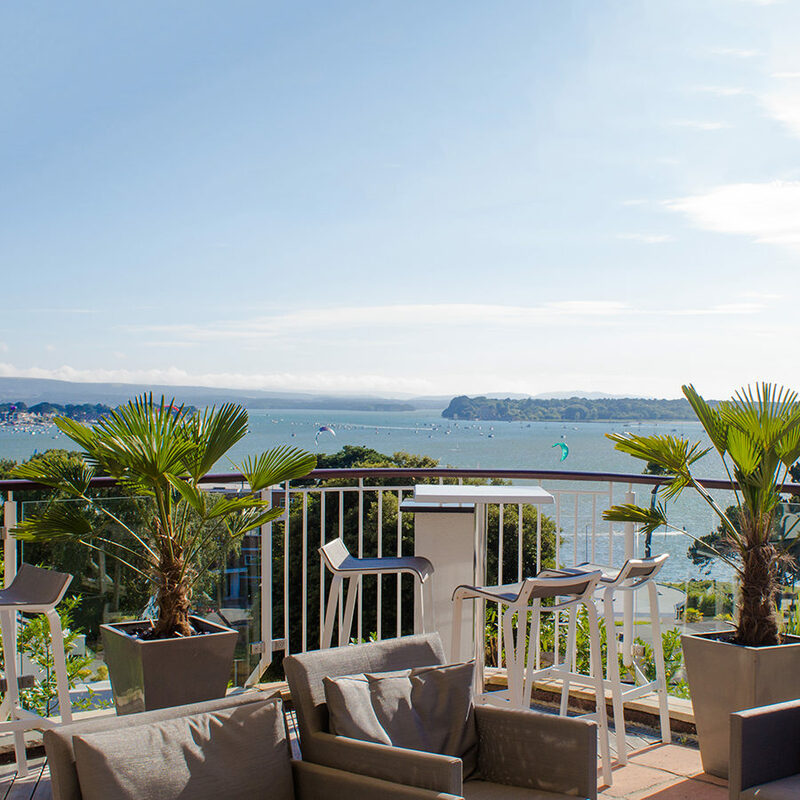 The terrace is adorned with bespoke planters, contemporary seating, elegant sun umbrellas, heaters and lighting. This is sensational on a sunny day and the perfect location for cocktail parties and BBQ parties. 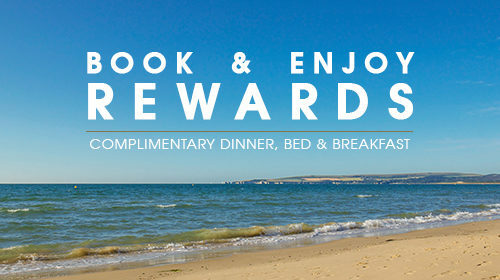 Accompany all these features with 2 AA- Rosette award-winning cuisine, an impressive selection of wine and exceptional customer service. *By prior arrangement only and hire charges may apply. 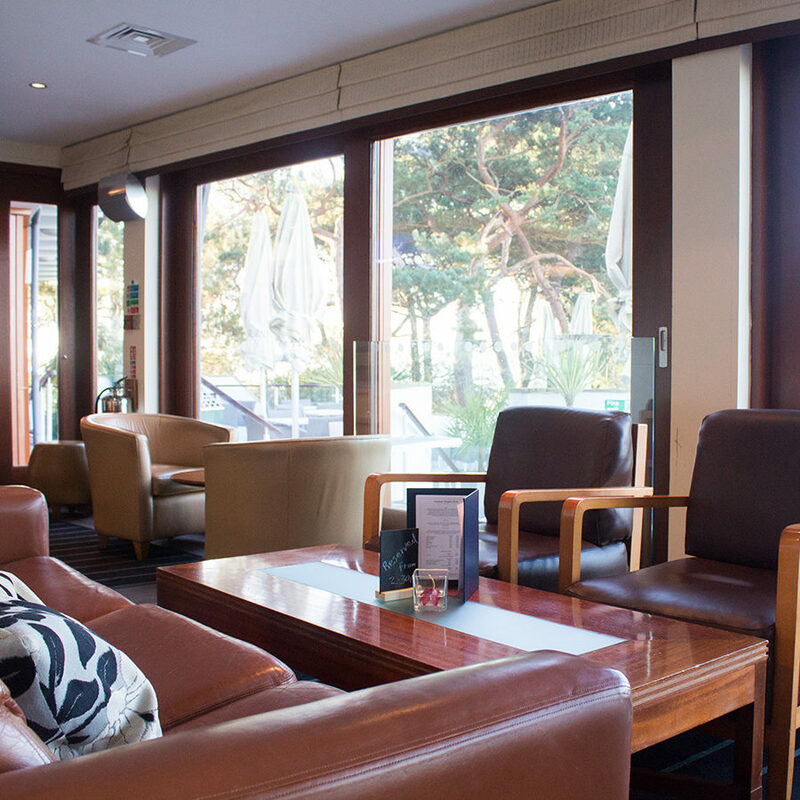 For smaller gatherings, we would suggest the Hytes Lounge area. Guests may relax on low-level loungers whilst enjoying the company of their friends and also enjoy the sensational views. There is a Steinway and Sons piano positioned at the edge of the lounge and available for *professional background music if required. 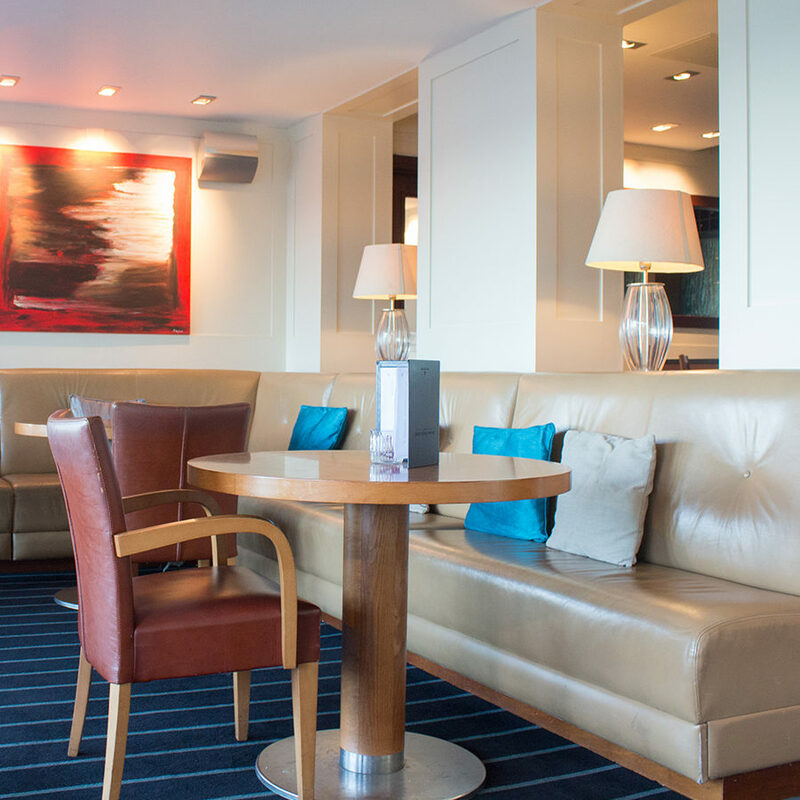 This lounge is typically suitable for small drinks receptions, group afternoon teas or wakes. *To be pre-booked with the artist at an additional fee. If you wish to have a more informal party with your guests, may we suggest a table at our critically acclaimed Harbar Bistro; or alfresco option on the decked sun terrace? 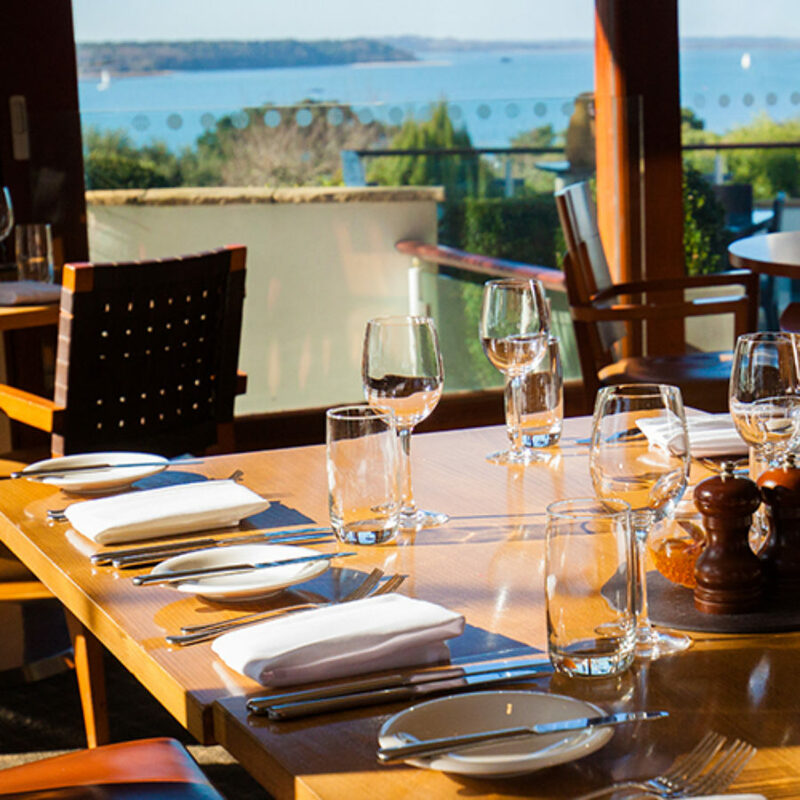 With elevated views across Poole Harbour, the restaurant offers AA Rosette-awarded cuisine which can be enjoyed in the stylish interior. 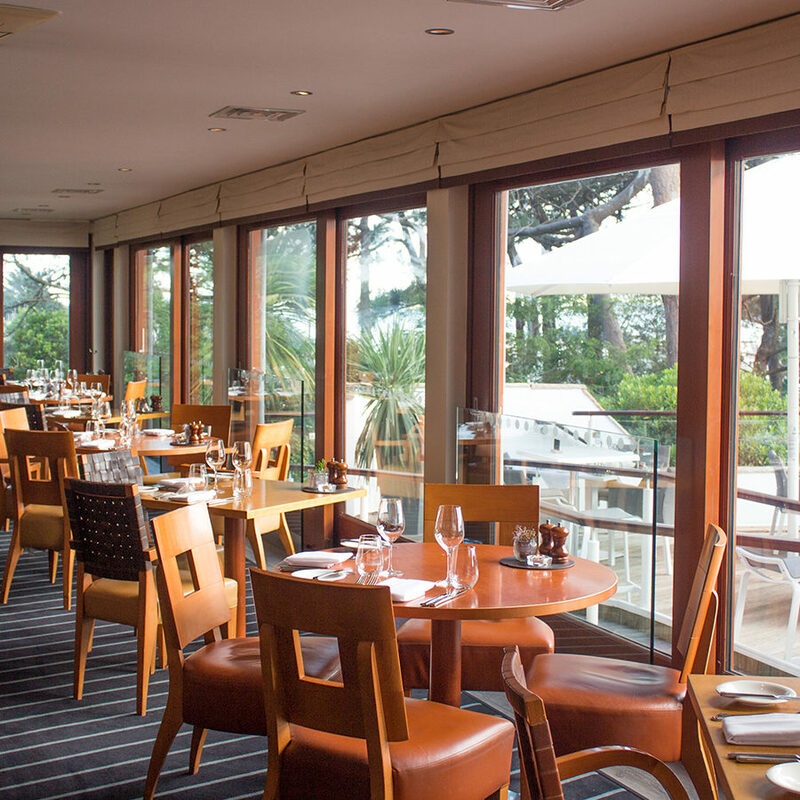 The menu is full of inventive dishes that celebrate the area’s produce, including fresh fish from local waters. Head Chef, Loic Gratadoux, is passionate about sourcing great seasonal ingredients and his menu reflects the fresh local produce delivered daily to his kitchen. Try some of the delicious cocktails mixed by our expert bartenders, or pick something from one of the in-house wine cellars to complement your meal. Tables available from 1 to 20 people.